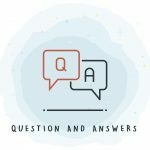 Browse our Hospice FAQ list to learn the answers to some of the most common hospice questions. And if you don’t see the answer you’re looking for below, please call us at (800) 229-8183. 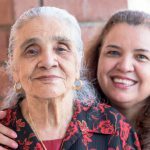 Does choosing Samaritan Hospice mean I’m giving up hope? Will hospice care and pain medications hasten my loved one’s death? Is Samaritan only for patients with cancer? Do I have a to check my loved one into the hospice facility? When is the right time to consider getting hospice care? Should we wait for our doctor to talk about hospice care? May we call Samaritan even if we think it’s too early for hospice care? What does the Samaritan hospice admission process involve? What happens after my loved one passes away? No. Choosing hospice care doesn’t mean giving up hope. 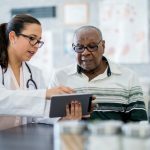 It can actually help patients and families better understand what they may realistically wish for: comfort, dignity, resolving family and spiritual issues, spending quality time on pursuits that are important to the patient and family, etc. Hospice care is built on the belief that every day of every life matters. Choosing Samaritan means you are requesting the help of an expert team to guide and support you through an illness so that you and your family can focus your remaining time together on what’s most important to you. This is a very common hospice question. The truth is that hospice care doesn’t hasten or postpone dying. It simply recognizes death as a natural part of the life cycle and provides care that addresses physical, emotional, social, and spiritual pain so that patients and families may enjoy a more satisfactory quality of life – even during the last year of life. In fact, recent studies have indicated that some patients actually live longer on hospice care due to their improved quality of life. Just as there are medical specialists who provide their expertise and support when we are born, Samaritan clinical team members provide expertise, compassion, and support during the last phase of life. Absolutely not. Samaritan is experienced in caring for people of all ages with any kind of chronic progressive life-limiting injury or illness. These diagnoses can include, but are not limited to: heart, lung, renal, and kidney diseases, ALS (Lou Gherig’s Disease), Multiple Schlerosis, Parkinson’s Disease, Alzheimer’s, and other forms of dementia, as well as HIV/AIDS. 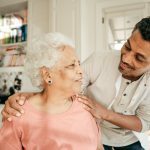 Do I Have to Check My Loved One into the Hospice Facility? No, contrary to common belief, hospice is not a place, but rather a team-oriented philosophy and program of care. In fact, the majority of Samaritan’s patients receive hospice care in their own homes or the residence of a loved one. We also provide hospice care in assisted living and long-term care facilities, as well as short-term stays for pain and symptom control in Samaritan’s inpatient hospice centers. Yes. We encourage it! 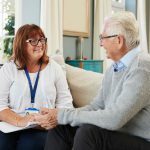 Samaritan welcomes the opportunity to provide guidance to families about end-of-life issues so that they are informed about all their healthcare options. 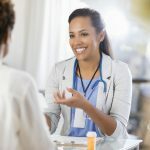 Understandably, many people are uncomfortable with the idea of stopping aggressive efforts aimed at ‘beating’ a disease, even if these treatments are proving to be ineffective or burdensome to the patient’s quality of life. Samaritan staff members are highly sensitive to these concerns. You do not need a physician’s referral to call us for information. If it appears that hospice care would be appropriate and beneficial, our staff – with your permission – would contact your doctor to discuss it. You may contact us at 1-800-229-8183 or email us for more information. 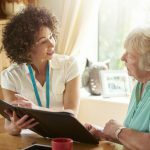 Do I Need a Referral For Hospice? Patients are admitted to Samaritan with a physician’s order. However, patients and families may begin the process with a phone call to Samaritan at 1-800-229-8183. 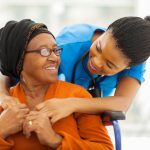 If it appears that hospice care is appropriate, our staff can assist families in getting the necessary authorization from the patient’s physician. Samaritan also employs a Medical Director and hospice physicians to assist and care for patients who have no personal physician. Most physicians know about hospice care. However, knowing when to refer a specific patient is often an inexact science. If your doctor would like more information about Samaritan, our medical director, hospice physicians, and staff are happy to answer any physician inquiries and/or provide staff in-services about Samaritan hospice care, transitional and grief support programs at 1-800-229-8183. One of the first things Samaritan staff will do is contact the patient’s physician to make sure he or she agrees that hospice care is appropriate for this patient at this time. Samaritan also has medical staff available to help patients who have no personal physician. The patient will be asked to sign consent and insurance forms. These are similar to the forms patients sign when they enter a hospital. The so-called “hospice election form” says that the patient understands that the care is palliative (that is, aimed at pain relief and symptom control) rather than curative. It also outlines the services available. The form Medicare patients sign also tells how electing the Medicare Hospice Benefit affects other Medicare coverage. First, call Samaritan at (800) 229-8183. We’ll walk you through next steps. Ongoing grief and bereavement support is an important part of the care provided by your Samaritan hospice team right from the start. Your physician, nurse, social worker, spiritual support counselor, home health aide, and volunteer are always willing to talk with you about your thoughts and feelings. In addition, you can ask your social worker about bereavement support. 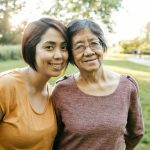 How Do I Know Palliative Care is Right for Me? Palliative care is right for you if you have a serious illness. Any illness, at any age, at any stage. Serious illnesses include but are not limited to: cancer, heart disease, lung disease, kidney disease, Alzheimer’s, amyotrophic lateral sclerosis (ALS) and many more. Can I Still Receive Curative Treatments While Using Palliative Care? Yes, definitely. Palliative care helps ease the side effects of curative treatments like chemotherapy and radiation. Palliative care also provides relief from the pain and symptoms of series illness. No. Our palliative care specialists work with your physician and/or specialists. The palliative care team will spend time talking and listening to you and your family. They will make sure you completely understand all of your treatment options and choices. By deeply exploring your personal goals, the palliative care team will help you match those goals to the options. They will work with your current physician or specialist. This gives you more control over your care. What Does a Palliative Doctor Do That’s Different From What My Other Doctors Do? Your other doctors focus on your general health or treating your disease or condition. Palliative doctors and nurse practitioners focus on alleviating pain and symptoms, improving your quality of life, and helping you and your loved ones cope with the stress and burden of your illness. Shouldn’t All My Doctors Be Concerned with Alleviating My Suffering and Improving My Quality of Life? Yes, of course. 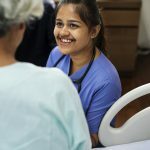 But palliative care experts have special training and expertise in pain management and symptom control, and specialize in helping patients and their families cope with the many burdens of a serious illness, from the side effects of a medical treatment to caregiver stress to fears about the future. 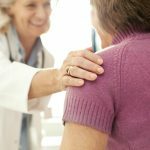 Palliative care physicians and nurse practitioners can assist you with difficult medical decisions and help you weigh the pros and cons of various treatments.